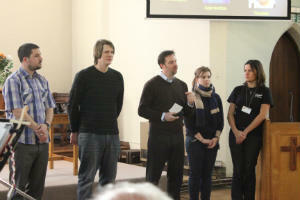 The pictures show the breadth of the current Oxygen projects and the members of the Oxygen team (Adam, Charlie, John, Naomi & Analice) who joined us for the service. 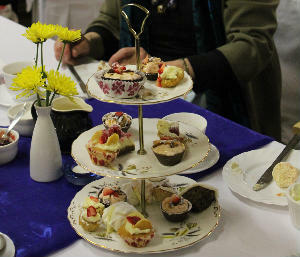 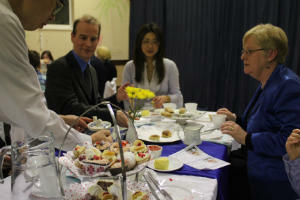 Great opportunity to dress up and enjoy cakes, scones (with cream & jam! 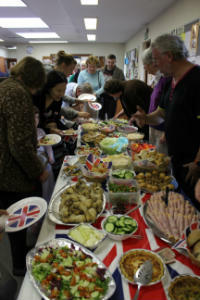 ), and neatly cut sandwiches with friends. 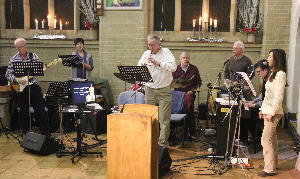 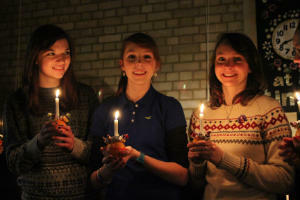 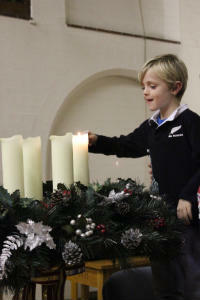 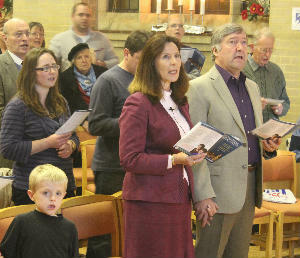 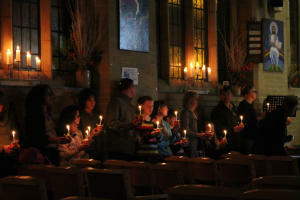 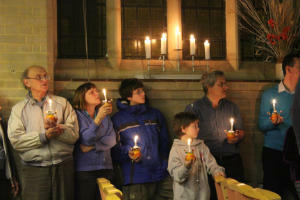 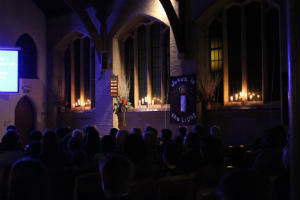 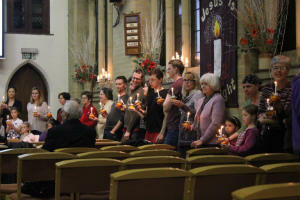 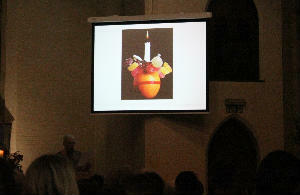 If you missed Christingle at St John's or would like to share in it again take a look at the photos here. 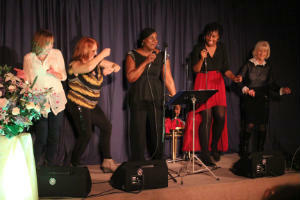 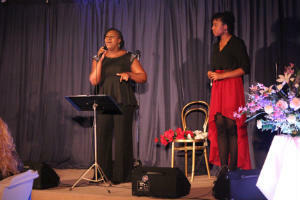 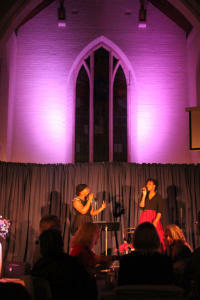 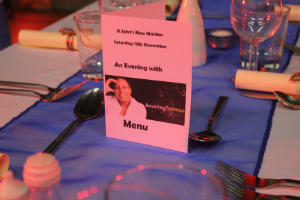 For a second time Beverley Trotman entertained at a Gala Dinner in St. John's New Malden. 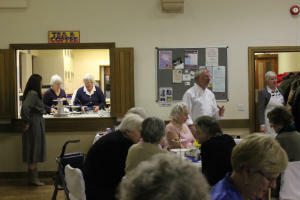 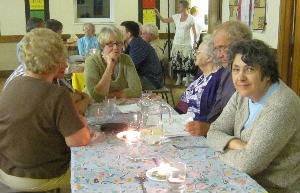 Regulars at St John's and their guests sat down to a three-course dinner and listened to songs from Beverley and heard extracts from her life story and about her experience as an X-factor finalist. 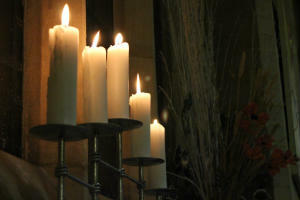 Some photographs here, but more just a click away. 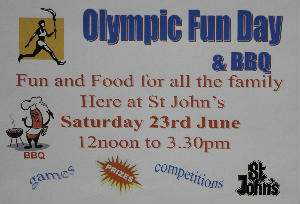 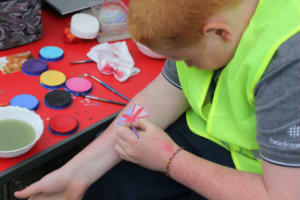 As we build towards the Olympics, the Fun Day welcomed many to come and enter into the spirit of the Games. 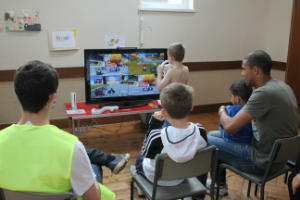 All the normal attractions were there with an added Olympic theme, all good preparation to get geared up for the summer. 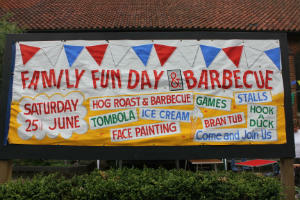 Some views of the day - enjoy the fun! 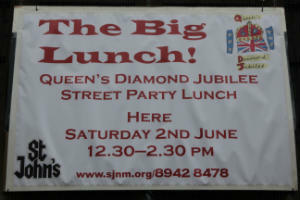 St. John's & our local community celebrated the Queen’s Diamond Jubilee with a BIG LUNCH street party on Saturday June 2nd. 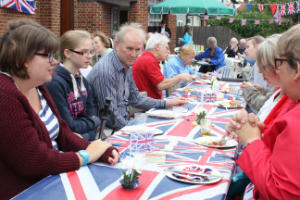 Flags & bunting bedecked the front area of the church and around 90 people enjoyed eating and chatting in the festive surroundings. 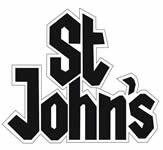 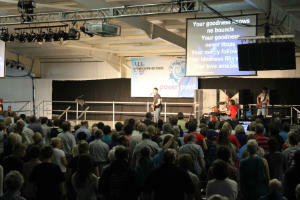 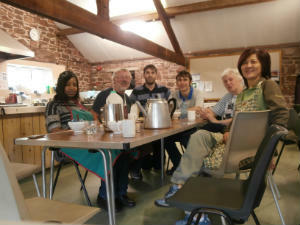 A Megacities team has spent a month with us at St. John's. 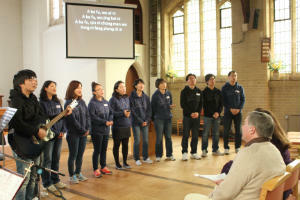 Hotfoot from Hawaii following a period of training they have worked with us, prayed for the community, and on Sunday 6th May worshipped with us at 10:30. 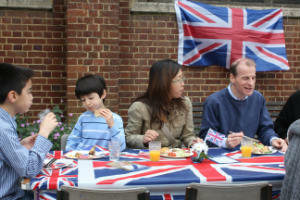 They moved on to China on 11th May. 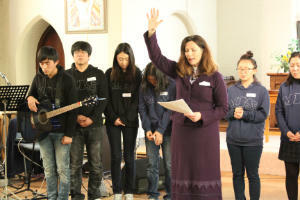 We are praying for their month working in cities there. 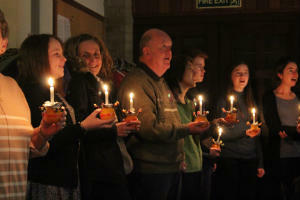 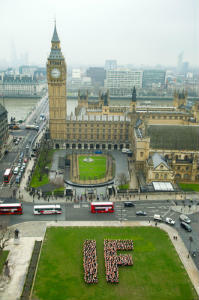 Carol Singing World Record: It's Official - We Did It! 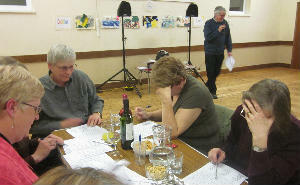 The Diamond Jubilee Quiz on Saturday 17th March tested everyone's brians, but brains were fed by the puddings - 6 in all which had to be graded 1 to 6. 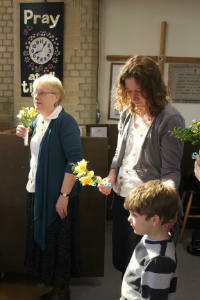 To celebrate Mothering Sunday every woman in the congregation received a bunch of flowers. 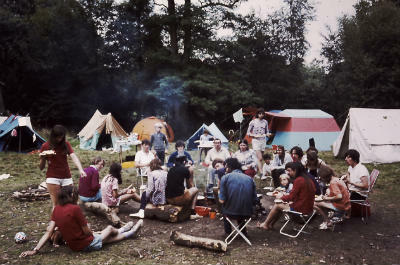 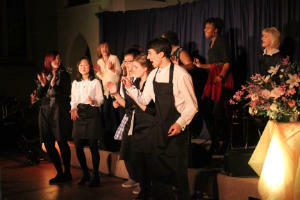 Later, St John's God Squad set up a 'Guatamalen Café' after the service. 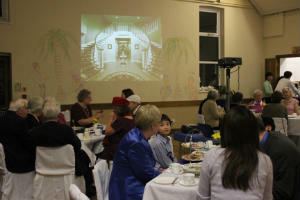 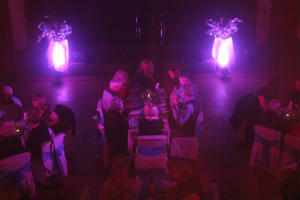 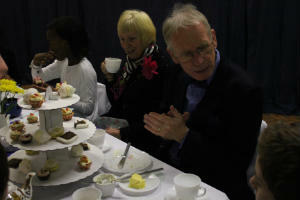 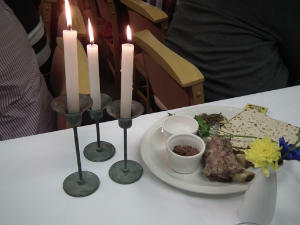 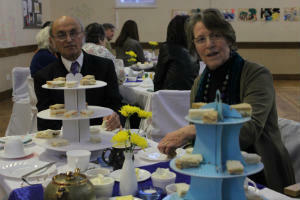 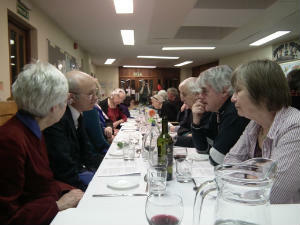 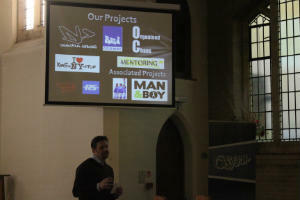 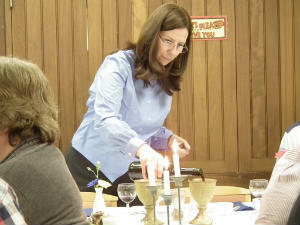 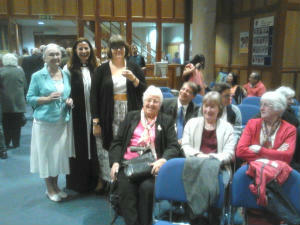 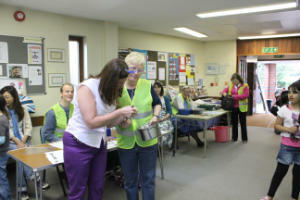 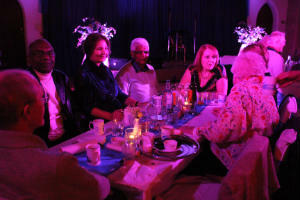 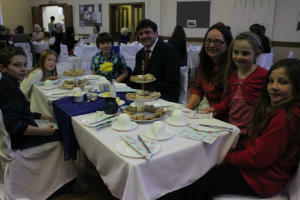 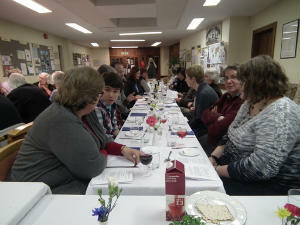 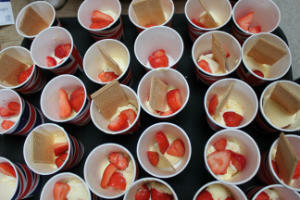 Light refreshments and drinks were served in St. John's lounge to raise money to help street children in South America. 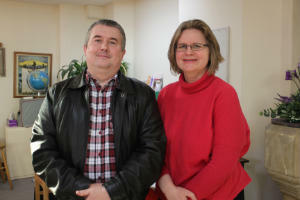 Phillip & Susanne working with Arab World Media joined the morning & evening services. 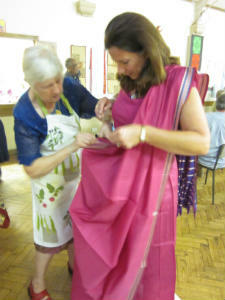 Saturday 15th October 2011 - Indian Experience. 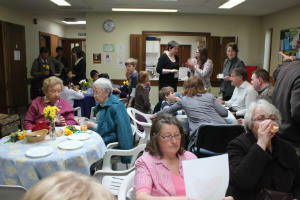 St John's members, our friends and neighbours enjoyed a delicious Indian meal served on banana leaves and Indian themed activities. 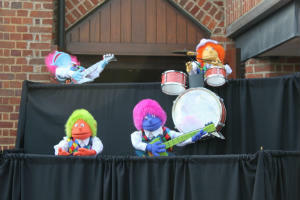 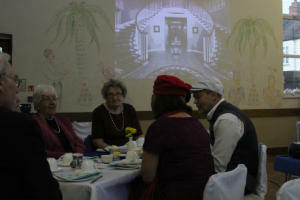 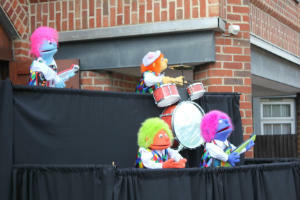 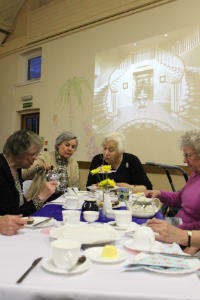 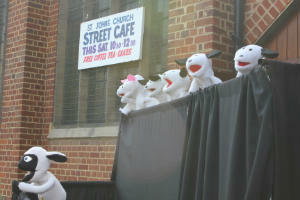 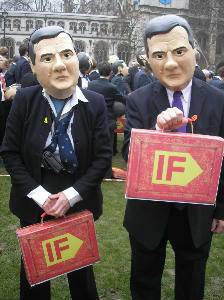 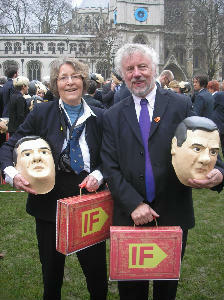 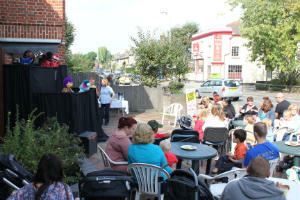 St John's Street Café was basked in autumn sunshine and patrons were entertained by puppets from Vision Theatre. 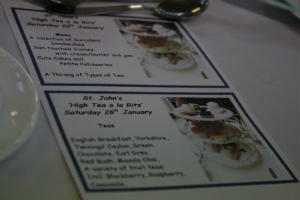 August 2011 was a busy month at St. John's. 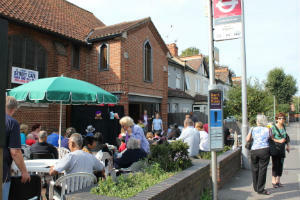 Throughout the month we welcomed the New Malden Baptist Church who shared their morning worship with us whilst their church was renovated. 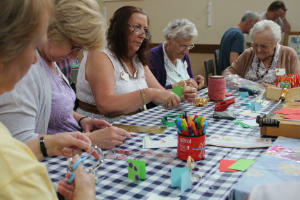 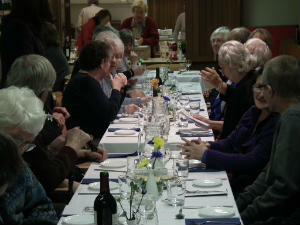 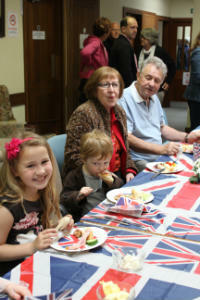 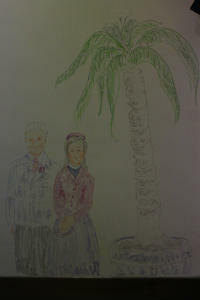 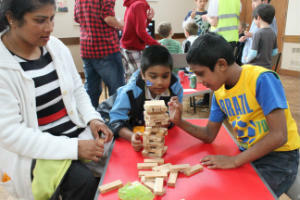 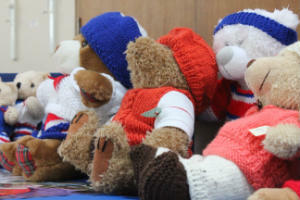 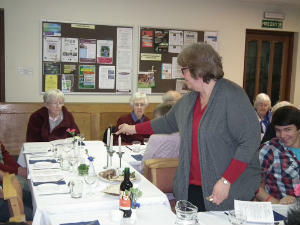 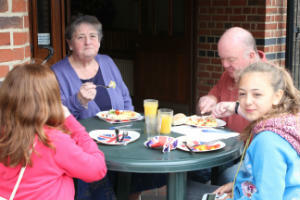 Later in August over 60's from the local community joined St. John's for a lunch and an afternoon of crafts and games. 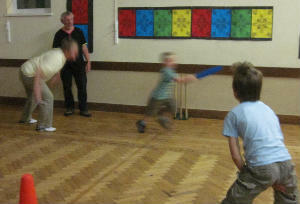 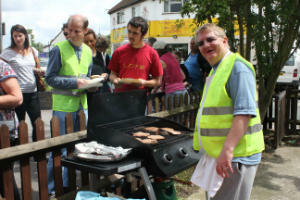 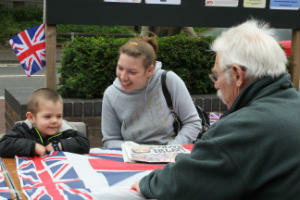 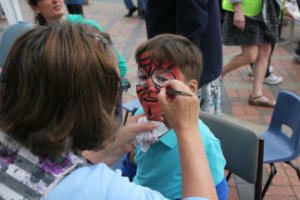 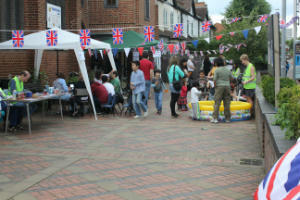 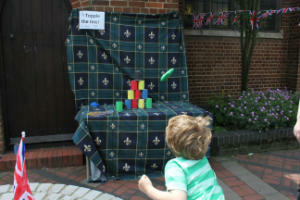 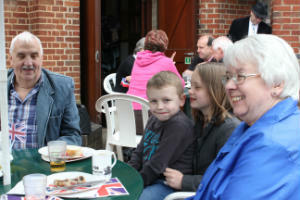 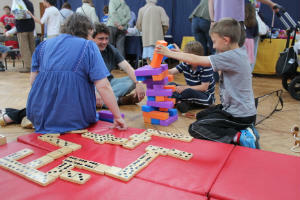 The local community came along for a fantastic Fun Day in the forecourt and in the church buildings. 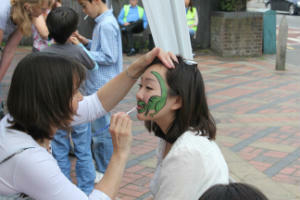 There was something for adults and children alike. 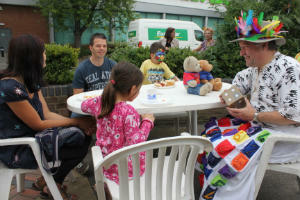 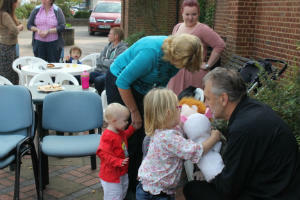 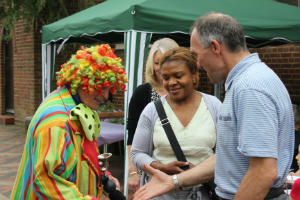 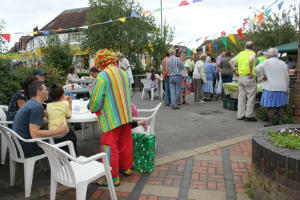 A clown, story time, icecreams and the barbecue & hog roast gave everyone plenty to enjoy. 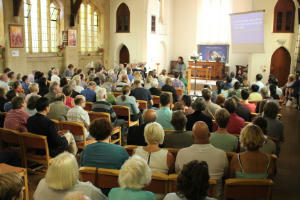 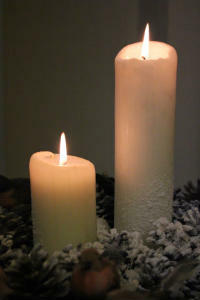 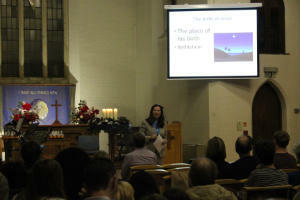 See St John's 10:30 Service thoughts on Growth as Christians on the Members' Pages. 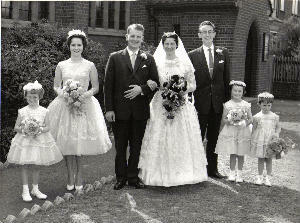 Whit Monday May 22nd 1961 was a big day for Brian Lay and Ann Jordan - their Wedding Day. 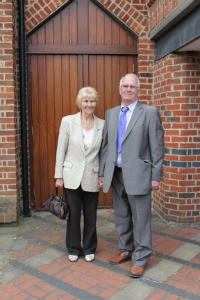 50 years to the day they were back in St. Johns for the first time since then, joining the Morning service to celebrate their Golden Wedding. 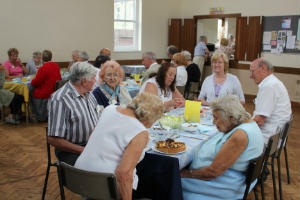 They had met at a Saturday night joint youth club (the boy's bible class & the girl's covenanters) at St Johns in 1955, getting engaged in January 1959, and held their engagement party in the church hall. 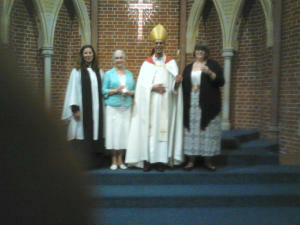 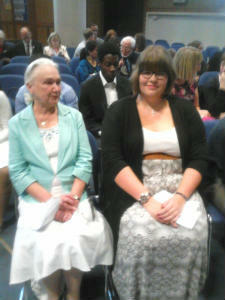 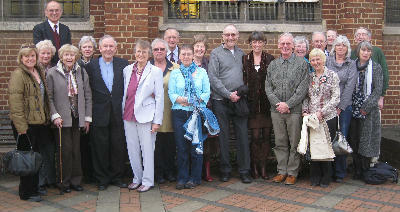 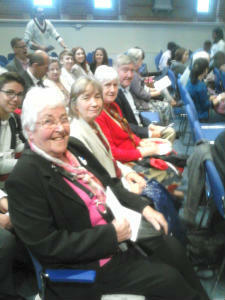 They were welcomed by the current congregation and commented that the church had changed a lot in the fifty years! 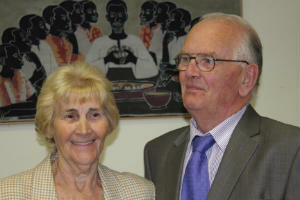 Our photos show Brian & Ann Lay on their wedding day and again back at St. John's fifty years later. 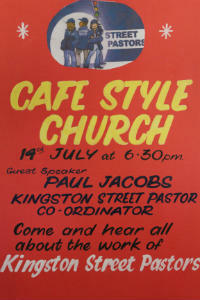 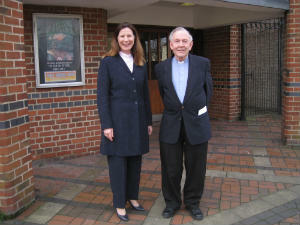 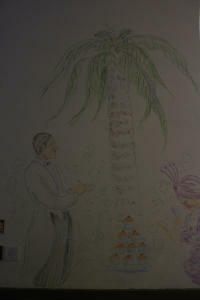 On Sunday 20th March 2011 - Curate-in-charge from 1961 to 1964 Rev. 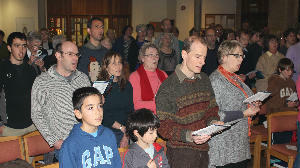 Peter Yacomeni was welcomed to the 10:30 Service. 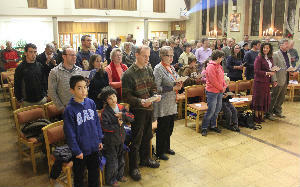 Peter preached on Taxing Questions using as his text both Luke 20:20-26 on paying taxes to Caesar and Jeremiah 29:4-14 Jeremiah's letter on the Lord's words to the exiles. 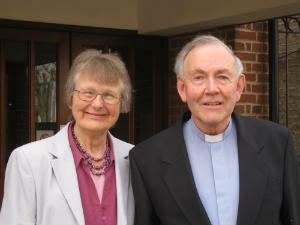 Although Peter Yacomeni's term as Curate-in-Charge at St. John's started 50 years ago, our present Associate-Vicar Helen Durant-Stevensen had the pleasure of welcoming into the congregation many former members of the King's Own Youth Group from that time.